"A New Catechism for the St. Thomas Christians of India" 'Mar Toma Margam' is a book authored by Fr. Varghese Pathikulangara(http://pathikulangara.in/Biodata.htm) which has the objective of reintroducing the original 'Way of Life' of the Thomas Christians of India. “For everything there is a season, and a time for every matter under heaven: a time to be born, and a time to die; a time to plant, and a time to pluck up what is planted; a time to kill, and a time to heal; a time to break down, and a time to build up, a time to weep, and a time to laugh; a time to mourn, and a time to dance; a time to cast away stones, and a time to gather stones together; a time to embrace, and a time to refrain from embracing, a time to seek, and a time to lose; a time to keep, and a time to cast away; a time to rend, and a time to sew; a time to keep silence, and a time to speak; a time to love, and a time to hate; a time for war, and a time for peace” (Eccles 3, 1-8). There is particular time for every act. It is at special time that we play, take bath, learn, eat, rise up, pray, go to school, return therefrom, and so on. 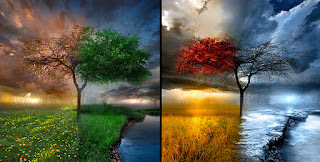 There is also determined time for sowing, reaping, transplanting, etc. There is a time also for Holy Qurbana and catechism class. The important feasts of the parish church are also celebrated in scheduled time. Summer and rainy seasons are repeated normally at definite intervals in the course of the year. There are so many important things, which are repeated every year in their own time. Mar Toma Margam has its own seasons around the year. They are fixed according to the flow of salvation history. Concentrating themselves on Jesus of Nazareth, i.e., on the historical life of Jesus, the believers are led to the eschatological fulfilment, namely, the heavenly bliss, in this special arrangement of liturgical seasons. All Seasons begin on Sundays. 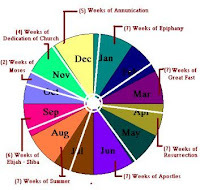 Usually, there are seven weeks each for every Season; the first and last are permanent exceptions: five or six weeks for the first and four weeks for the last. 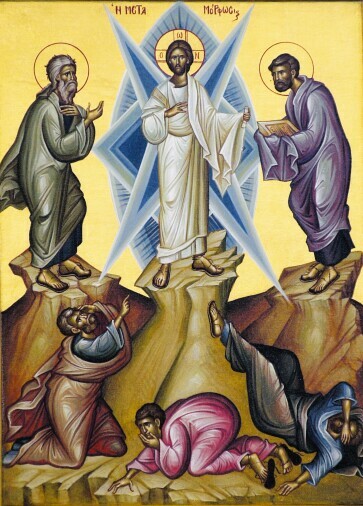 Resurrection of Jesus and Finding of the Glorious Cross are the two deciding Celebrations in the Liturgical year. Resurrection is celebrated on the Sunday that follows the full moon day after March twenty first, the Spring equinox. Finding of the Glorious Cross is celebrated always on September fourteenth. 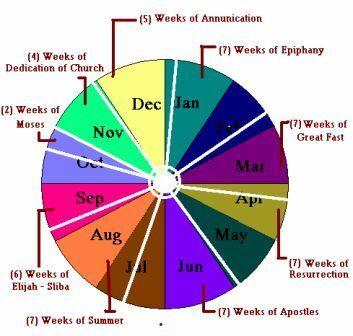 There is variety among the individual Churches in beginning the liturgical year. The Syro-Malankara Church begins her liturgical year at the end of October or the beginning of November with the first Sunday of the Dedication of the Church (Qudos-Idto). The Latin Church begins her liturgical year at the end of November or in the beginning of December with the first Sunday of Advent. The Byzantine Church begins her liturgical year with the feast of the Glorious Cross on September fourteenth. I am a fellow Nazranee who is treading towards the Heavenly 'Orshlem'.